Horace was born in 1881 the eldest child of Joseph Turner and his wife Emma née Hewitt. The family was not a large one: Horace, William Joseph (born 1884) and Alice Lewis (1890) were born in Lawford, Essex before the family moved to the Newbury area, after which Joseph Henry was born in 1896. A fifth child was born but did not survive infancy; further tragedy struck the family when Joseph died in 1911, aged 15. The family lived in Ivy Cottage in Church Road, Shaw. Horace’s regimental number (5586) suggests that he enlisted into the Royal Berkshire Regiment in 1899. It has not been possible to identify him in the 1901 census of England and Wales, which may mean that he was serving overseas with his regiment. However, he does not appear on the medal rolls for the Royal Berkshire Regiment’s 2nd Battalion in South Africa – so it is more likely that he was with the 1st Battalion in Gibraltar. Having served 7 years he would have had the option to return to civilian life, while retaining a commitment to the army for a further 5 years as a member of the Reserve. 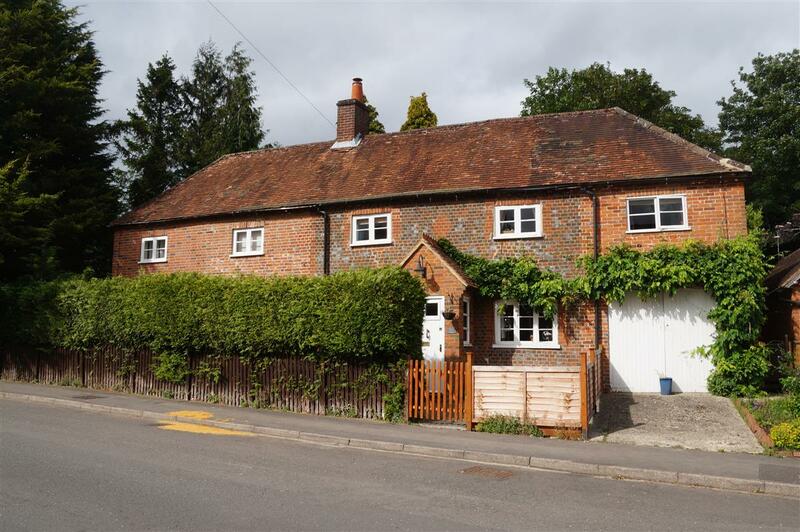 Ivy Cottage 2015 - extended considerably since the Turners lived there. In 1908 back in the Newbury area he married Georgina Ballard and set up house at 8 Eastbourne Terrance in Speenhamland, the northern section of Newbury Borough where they were resident in 1911 (they must have moved on that year as the property is shown as being vacant in a 1912 street directory - the widow of another Newbury casualty Claudius Eggleton was living there after the war). Horace and Georgina moved to 2 Fair View, Kiln Road; they had three children: Leslie in 1910, Gladys in 1911 and Violet in 1913. Despite its location in first Cold Ash and, since the 1930s, in Newbury, Kiln Road is generally considered a part of Shaw. This may well explain why Horace's name appears on the war memorials in all three settlements. Horace’s service in the Reserve would have ended in 1911 after which he could elect to extend his service for a further 4 years – in peacetime this would have earned him a useful 3s 6d a week for virtually nothing (1 day’s training in year 3 of the 4 year period). In wartime the 3s 6d might not have seemed quite such a bonus – he would have been mobilised with the rest of the Reserve on the first day of the war. When he reported to his regiment at Brock Barracks in Oxford Road, Reading, he would have been issued with kit and might have been sent to rejoin the 1st Battalion, which was at Aldershot preparing to embark for France, where it landed on 13 August. However, there were more Reserves than were needed to fill out the 1st Battalion’s complement, those remaining would be put into training to refresh their skills while they awaited their opportunity to fight. Some were allocated to complete the complement of the 2nd Battalion, which was in India at the outbreak of war. The 2nd Battalion arrived at Liverpool on 22 October and was transported to Hursley Park near Winchester where the Reserve contingent was awaiting its arrival. Hursley Park was the assembly point for the 8th Division made up of Regular Army units recalled from all over the Empire. 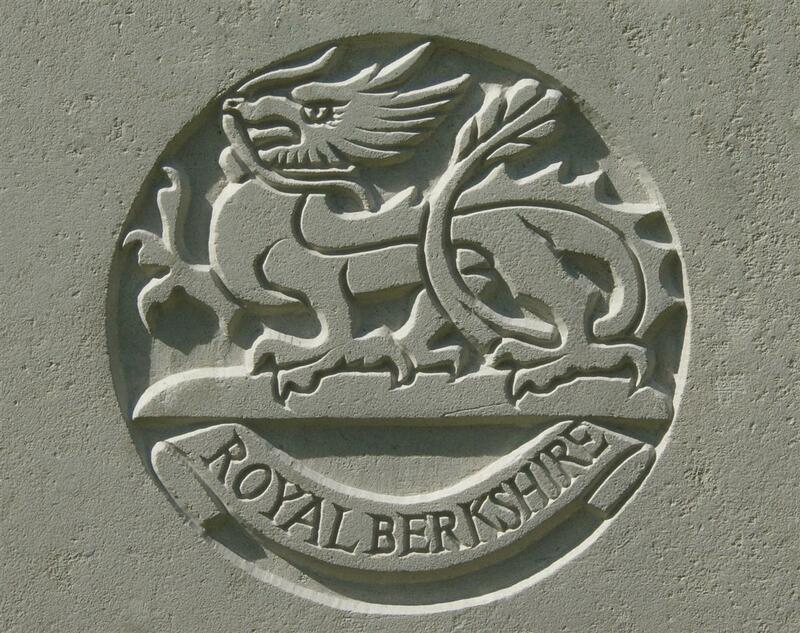 The 2nd Royal Berks was allocated to the 25th Brigade (one of three brigades in the division). The Division was soon ready for action, and was desperately needed by the BEF in France; on 5/6 November it landed at Le Havre. The 1st Battle of Ypres was coming to a close by the time the Division reached the line, but the BEF was spread very thinly along their sector of the Front so the troops had to spend far more time manning the front lines that was the custom later in the war. We travelled all night and all the next day and landed at a place named Merville which was the railhead of the 4th Army Corps. We billeted at Merville that night in a big barn by the station, and then moved up to a place named Ver-de-Quin about 13 miles from the firing line, we stopped here a few days and then marched up to the trenches and went into action on the night of the 14th November 1914. We relieved the East Surrey Regiment that night and occupied the trenches in front of a place named Aubers, the position we held for nearly 5 months being relieved every 3 days by the Rifle Brigade. During our stay at this particular place I had some very narrow escapes with my life. The first was nearly getting my head blown off by a shell whilst we were carrying water to the trenches, and on many other occasions too numerous to mention, most of them were when we were relieving. We used to go back to a place named Laventie about 2 mile and a half behind the firing line and sometimes only just behind the line in old farm houses and barns, etc. The winter of 1914/15 was a hard one; extreme cold introduced the troops to frostbite and thaws to trench-foot – it was a miserable time. As the weather improved there were new demands on the battalion; costly actions at Festubert and Fromelles turned the survivors into battle-hardened veterans. By September the British, led by Field Marshal Sir John French were being pushed by their French allies to contribute to a major offensive in the Artois region (around the large town/city of Arras). Reluctantly French agreed to the French proposals and tasked 1st Army commander, General Sir Douglas Haig with an assault around and to the north of the village of Loos-en-Gohelle that became known as the Battle of Loos. The 2nd Battalion Royal Berks was not directly involved in the battle; instead they were part of a diversionary attack near Bois Grenier a few miles north of the real offensive. The aim was to confuse the enemy as to the true extent and targets of the assault and drawing enemy troops and other resources away from the main attack. As was commonplace when an attack failed and troops were forced back from the area where the fighting was most intense the fate of those failing to answer at the next roll-call was unknown. Reports from the dressing stations would inform the battalion HQ about the wounded and some of the dead; eye-witness reports from the men would tell of men seen to die in the action; but there were always a significant number whose death was uncertain; even if wounded they may be lying in a German hospital, or on their way to a prisoner of war camp. Horace was one of the 143 men whose fate was unknown; leaving his family and friends to worry and hope. Missing since the 25th September, Pte H Turner, No 5586, 2nd Royal Berks, and 8th Division, 25th Brigade, France, oldest son of Mr and Mrs J Turner, Ivy Cottage, Shaw. Any information most gratefully received. – PARENTS. TURNER - No 5586, Pte H Turner, A Cot, 2nd Royal Berks, 8th Division, 25th Brigade, France, who has been posted as missing since 25th September last. Wife anxiously seeks news of him; Mrs Turner, 2 Fair View, Kiln-road, Shaw, Newbury. Mrs H Turner, 2 Fair-view, Kiln-road, Shaw, will be grateful for news of her husband, No 5586 Pte H Turner, A Company, 2nd Royal Berks Regt, 8th Division, 25th Brigade, who has been missing in France since the 25th September. Pleas such as these were placed in newspapers in the hope that they would be seen by a comrade who saw the missing man fall – or even better saw his surrender. Occasionally the family would here of their loved one’s fate in this manner; usually not. TURNER – No 5586, Pte H Turner, A Coy, 2nd Royal Berks Regt, 8th Division, 25th Brigade, reported missing September 25th last. Any information would be thankfully received by his wife, Mrs H Turner, 2, Fair-view, Kiln-road, Shaw, Newbury. The ordeal of waiting went on for months; sometimes a letter would arrive from a PoW camp or the name would appear on a Red Cross list – but very often there would be no word and, eventually, the War Office would conclude that the man had died on the day he went missing. TURNER – No 5586 Pte H Turner, of the 2nd Royal Berks Regt, reported missing 25th September, 1915, now reported killed in action. 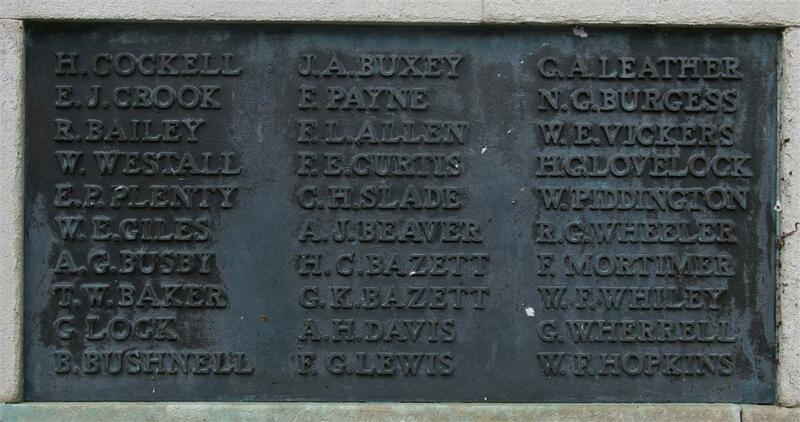 Reginald's name on Newbury War Memorial. As his body was never identified Horace’s name is remembered on panel 8 of the Ploegsteert Memorial to the missing six miles north of Bois Grenier. Locally Horace is remembered on tablet 9 of the Newbury Town War Memorial, the Speenhamland Shrine, and the village memorials at Shaw and Cold Ash. 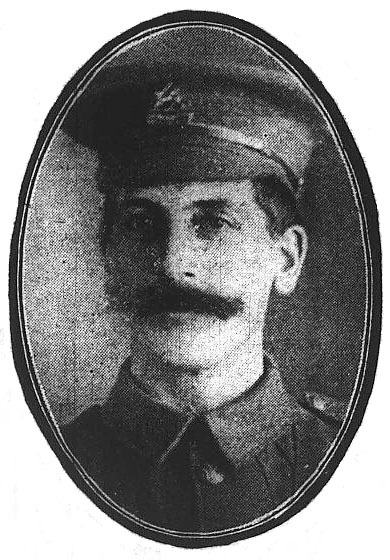 In ever loving memory of by dear husband, Pte Horace Arthur Turner, of the 2nd Royal Berks Regt, first reported missing, since reported fell in action, September 25th. 1915. And bids us to be brave. From his sorrowing Wife and Children, Leslie, Gladys, and Violet. In loving memory of our dear son, Pte H A Turner, 2nd Royal Berks, reported missing September 25th, 1915, later reported killed same date. Only on his duty yet. He had a cheerful word for each, and died beloved by all. In 1918 Horace's widow, Georgina, remarried to Percy Randall; the Commonwealth War Graves Commission had a contact address of 'Kiln Road'. This may well have been Horace and Georgina's home at 2 Fair View.